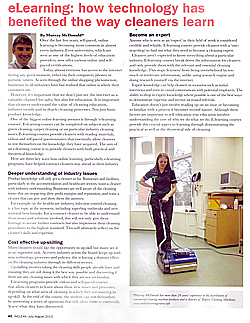 Duplex Cleaning Machines’ commercial cleaning advice, products and tips have been featured in a range of industry magazines and journals. 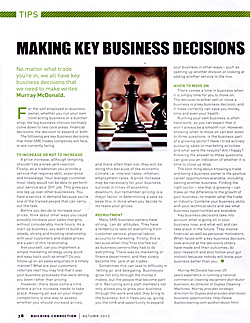 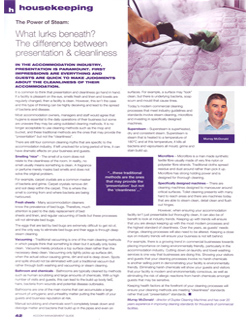 Director of Duplex, Murray McDonald, has written opinion pieces on best practice cleaning for a range of industry publications for sectors including healthcare, hospitality, wine and manufacturing. 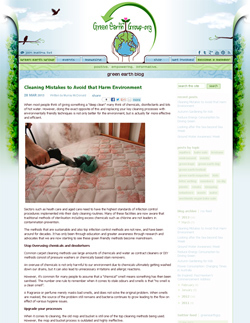 Murray is regularly approached by the media to provide comment and solutions on various commercial cleaning issues. 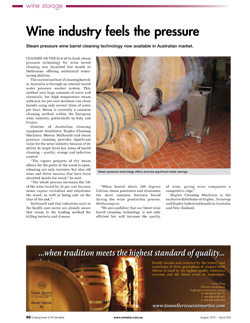 Some of Duplex’s exposure has been published in highly regarded industry publications including Hospital and Aged Care, Grapegrower and Winemaker, Industry update and more. 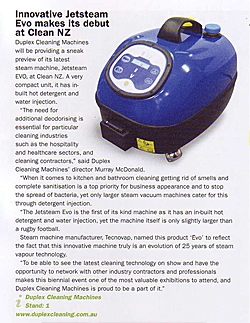 Our domestic machines have been featured in well known product review blogs and on Foxtel’s Lifestyle YOU channel. 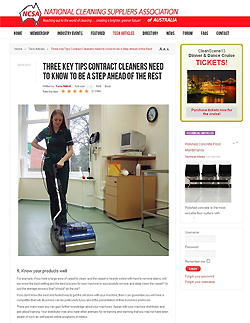 To take a look at our media exposure, click on your industry below, which will take you to our industry segmented media library. 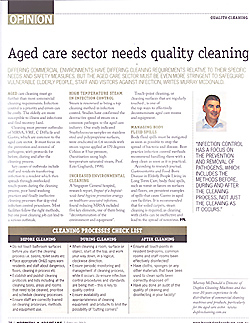 If you are working on an upcoming story on domestic, commercial or industrial cleaning, Murray is available for interview. 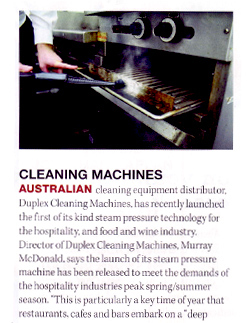 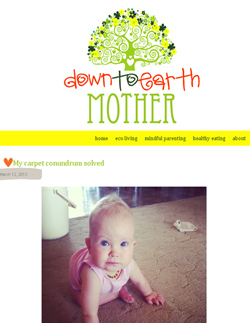 or call us on (03) 9482 4900.